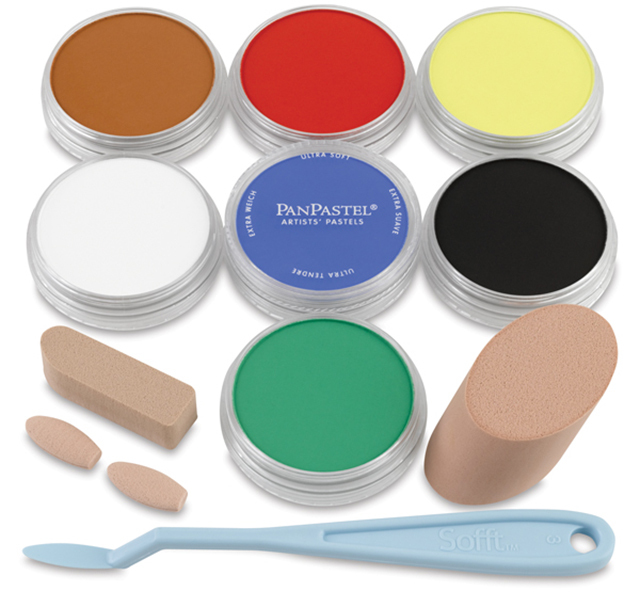 Pan pastels are artist quality soft pastels in a cake- like pan. 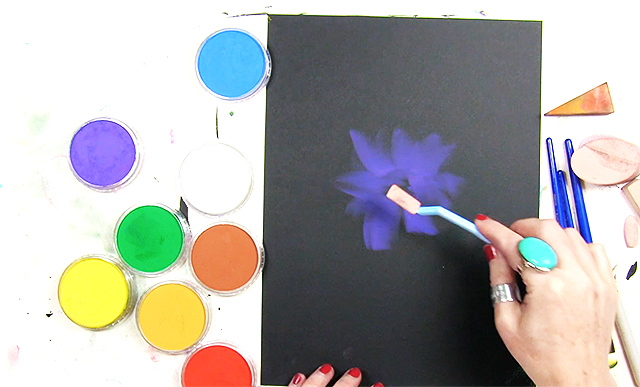 What makes them really cool is that are able to dip all kinds of tools into that pan (brushes, blending tools, fingers and a variety of applicators) and actually “paint” with those tools. 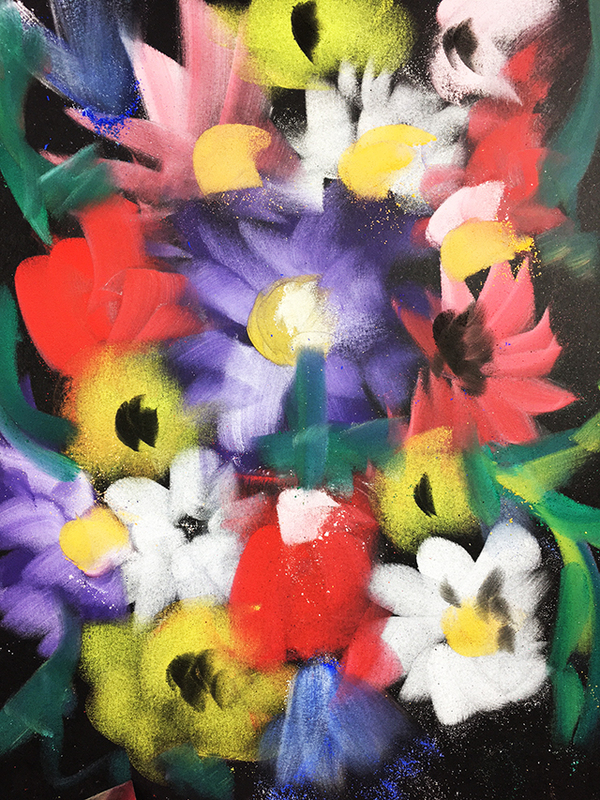 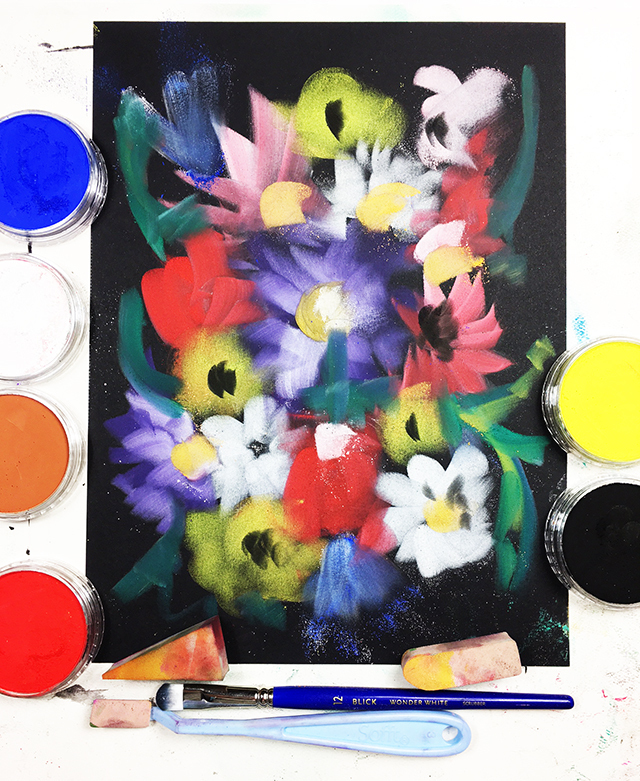 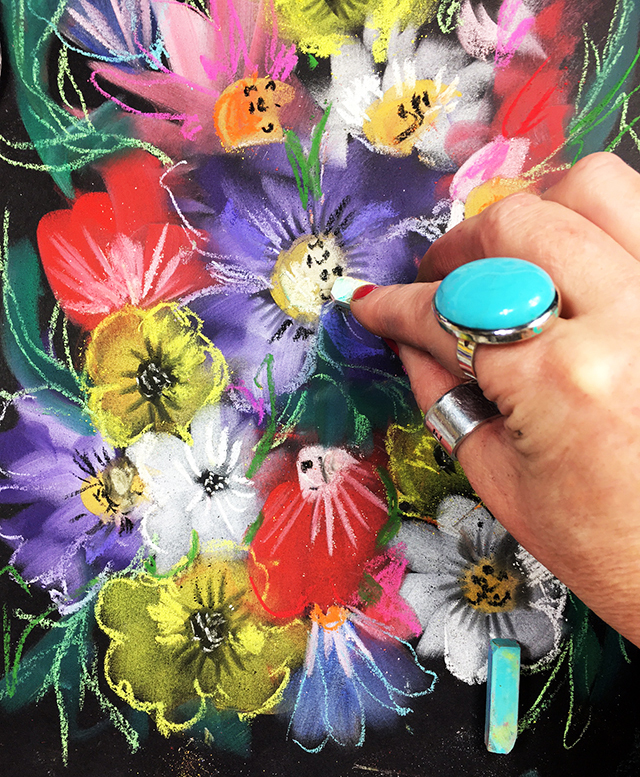 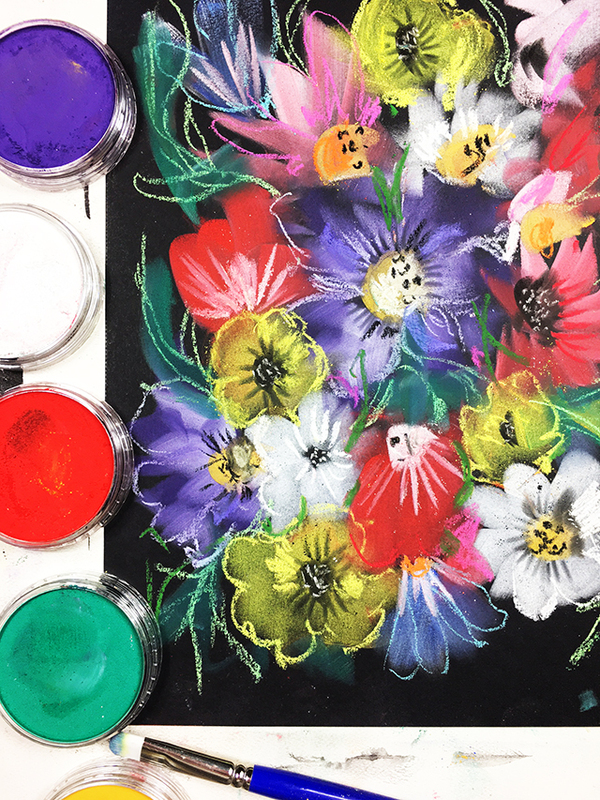 They are also very low dust, super bendable and the colors are really dynamic and they are wonderful for creating expressive florals. 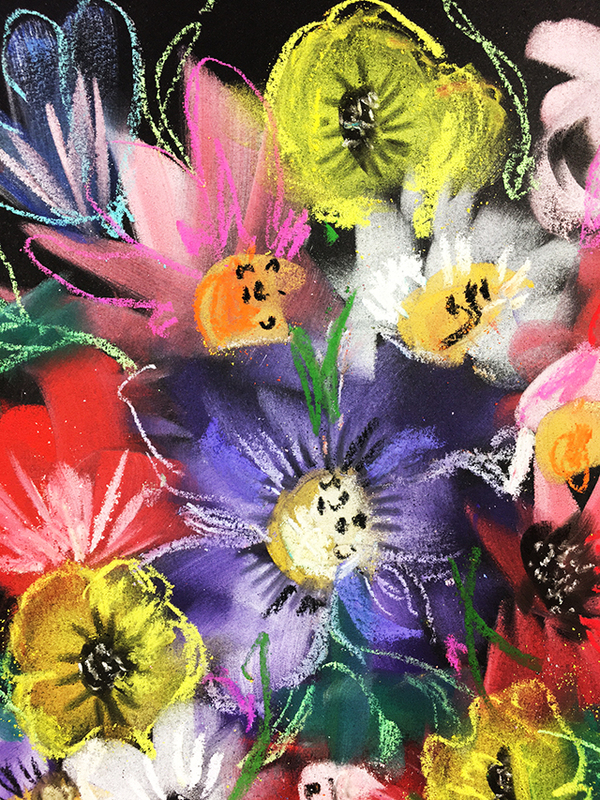 Pan Pastels are really fun because you can hold onto drawing strokes and lines. 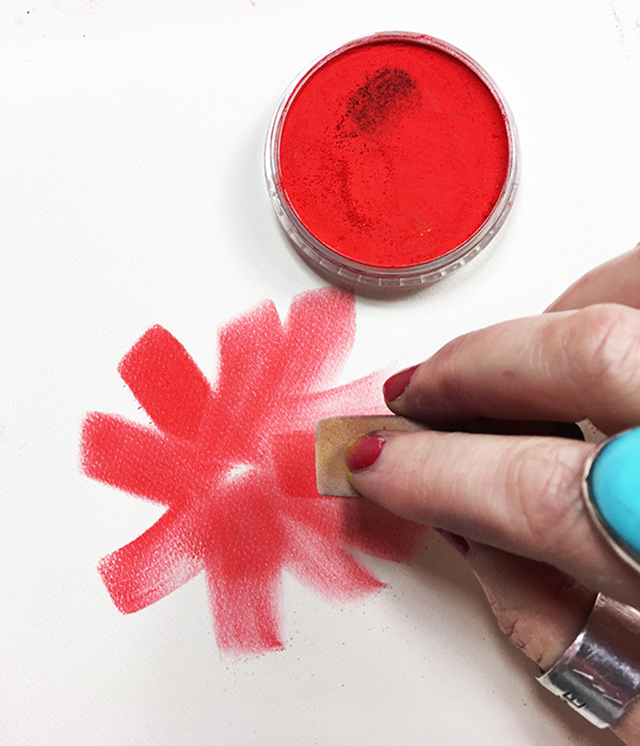 You can also blend that color and those lines and create a really soft looks and feel to your surface. 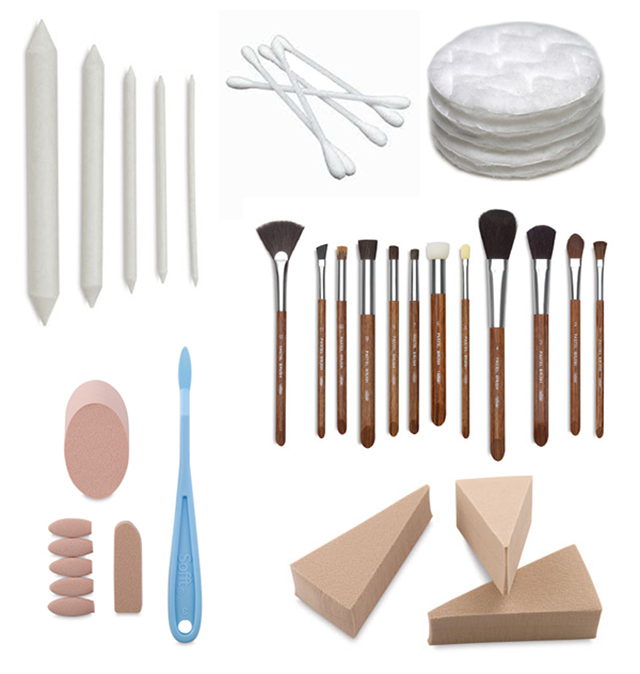 There are all kinds of really cool tools for blending but honestly I like using cotton swabs, a paper towel and my fingers the best! 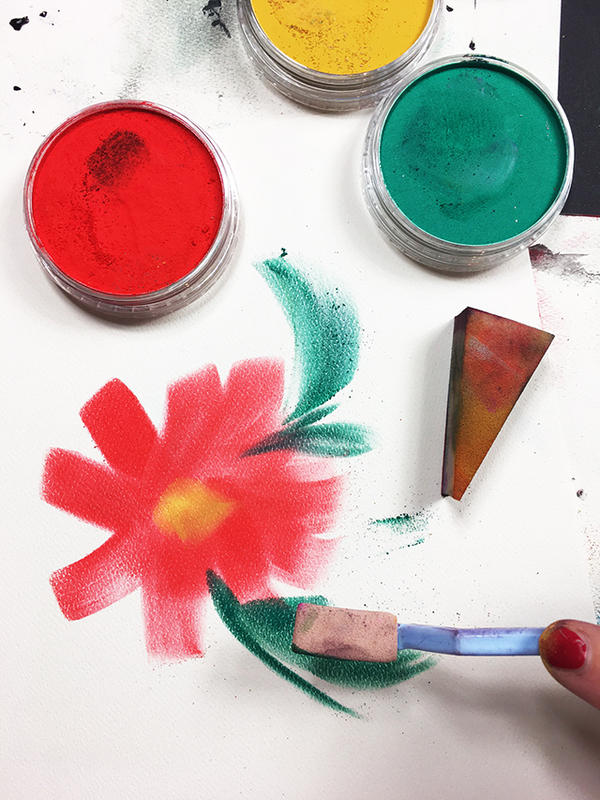 The only thing to keep in mind when it comes to blending tools is that pretty much anything soft will work to blend that color.